Americans in their 20s and 30s are facing a retirement crisis that could plunge them back into the Great Depression, Blackstone President and Chief Operating Officer Tony James said Wednesday. "Social Security alone cannot provide enough for these people to retain their standard of living in retirement, and if we don't do something, we're going to have tens of millions of poor people and poverty rates not seen since the Great Depression," he told CNBC's "Squawk Box." The solution is to help young people save more by mandating savings through a Guaranteed Retirement Account system, he said. Right now, young people cannot save enough on their own because they face stagnant incomes and heavy student-debt burdens. The Guaranteed Retirement Account was proposed by labor economist Teresa Ghilarducci in 2007 as a solution to the problem of retirement shortfalls that inevitably arise when contributions are voluntary. A GSA system would require workers to make recurring retirement contributions, which would be deducted from paychecks. Employers would be mandated to match the contribution, and the federal government would administer the plan through the Social Security Administration. Ghilarducci has proposed a mandatory 5 percent contribution, but James said a 3 percent requirement rolled into GRAs could outperform retirement savings vehicles like IRAs and 401(k)s.
He noted that a 401(k) typically earns 3 to 4 percent, while a pension plan yields 7 to 8 percent. 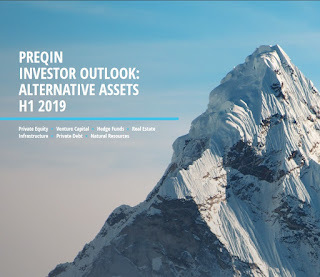 The average American pension plan has a 25 percent allocation to alternative investments — including real estate, private equity and hedge funds — with the remainder invested in markets, he said. "The trick is to have these accounts invested like pension plans, so the money compounds over decades at 7 to 8 percent, not at 3 to 4," he said. A 25-year-old who earns 3 to 4 percent per year would retire with $75,000, not nearly enough to annuitize and live on, James said. A 7-percent-per-year investment would yield $200,000 at retirement, he said. Under the plan James is proposing, the government would offer a 2 percent guarantee on GRAs. "The key to it is taking that capital, setting up the Guaranteed Retirement Accounts and investing it well for the very long term," he said. "We have to do that and we have to do that professionally." James spoke ahead of the Center for American Progress's conference on creating more inclusive prosperity and promoting long-term planning in the private sector. Blackstone Group President and Chief Operating Officer Hamilton “Tony” James called for a national retirement savings plan to address inadequate retirement preparedness that will hit the next generation of Americans particularly hard. Mr. James also called for redirecting $120 billion in annual retirement tax deductions to give every worker a $600 annual tax credit to save for retirement. 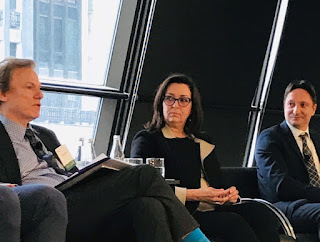 Speaking at the same event on creating long-term value, Treasury Secretary Jacob Lew said the corporate tax system “is broken” and that capital gains rates should be higher. “But we also have to realize that that is not the whole answer,” Mr. Lew said. So Tony James and the folks at Blackstone are finally realizing the United States of pension poverty is heading down the wrong road when it comes to its national retirement policy? And now they want to help those poor Millennials avoid a Great Retirement Depression? How noble of them. Unfortunately their prescription is worse than the disease and if you ever heard of that old expression "beware of Greeks bearing gifts" then you should also beware of private equity sharks promoting a retirement policy which will help them garner ever more assets to manage so they can keep charging insane fees. Please repeat after me, when it comes to hedge funds, private equity funds and real estate funds, the name of the game is asset gathering. Period. Sure, Blackstone is a great alternative asset manager but the private equity industry is changing, times are a lot tougher and regulators are scrutinizing these funds a lot more closely. It's not that I disagree with Tony James, Millennials are most definitely going to experience a retirement depression, just like baby boomers are experiencing right now. But when he starts spewing nonsense about having these Guaranteed Retirement Accounts invest like pension plans which invest in alternative investments like hedge funds, private equity and real estate, and enjoy 7-8 percent annualized returns, he's blatantly lying and talking up his industry. Folks, I've been warning you forever that global deflation will continue to wreak havoc on all economies and you'd better prepare for a protracted period of lower returns ahead. This will impact retail and institutional investors, especially all those U.S. public pension funds chasing a rate-of-return fantasy. 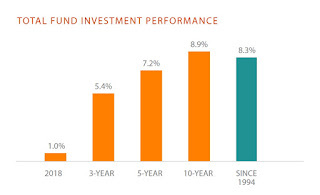 With the 10-year Treasury bond yielding 2%, the era of 7-8% annualized returns is a pipe dream and all the hedge funds, private equity funds and real estate funds in the world won't help you achieve an unrealistic bogey (but it will enrich these overpaid alternatives managers and their buddies on Wall Street which get paid huge fees from these alternative investment funds). Having said this, something needs to be done. I like Teresa Ghilarducci, an economics professor at the New School for Social Research. She has been on the forefront stating that America's retirement crisis needs new thinking. The poor lady even received death threats for her novel ideas which goes to show you how pathetically polarized and divisive American politics has become. Let be clear here, I don't like multiemployer pension plans because they are poorly governed which is why many risk insolvency unless comprehensive reforms are implemented. But the problem here is much bigger than multiemployer plans. U.S. retirement policy needs a drastic overhaul to properly cover all Americans, most of which have little or no savings whatsoever. ...politics aside, I'm definitely not for privatizing Social Security to offer individuals savings accounts. The United States of pension poverty has to face up to the brutal reality of defined-contribution plans, they simply don't work. Instead, U.S. policymakers need to understand the benefits of defined-benefit plans and get on to enhancing Social Security for all Americans. One model Social Security can follow is that of the Canada Pension Plan whose assets are managed by the CPPIB. Of course, to do this properly, you need to get the governance right and have the assets managed at arms-length from the federal government. And the big problem with U.S. public pensions is they're incapable of getting the governance right. So let the academics and actuaries debate on whether the assumptions underlying Social Security are right or wrong. I think a much bigger debate is how are they going to revamp Social Security to bolster the retirement security of millions of Americans. That's the real challenge that lies ahead. Yes folks, it's high time the United States of America goes Dutch on pensions and follows the Canadian model of pension governance. Now more than ever, the U.S. needs to enhance Social Security for all Americans and implement the governance model that has worked so well in Canada, the Netherlands, Denmark and Sweden (and even improve on it). I know, for Americans, these are all "socialist" countries with heavy government involvement and there is no way in hell the U.S. will ever tinker with Social Security to bolster it. Well, that's too bad because take it from me, there is nothing socialist about providing solid public education, healthcare and pensions to your citizens. Good policies in all three pillars of democracy will bolster the American economy over the very long-run and lower debt and social welfare costs. If U.S. policymakers stay the course, they will have a much bigger problem down the road. Already, massive inequality is wiping out the middle class. Companies are hoarding record cash levels -- over $2 trillion in offshore banks -- and the guys and gals on Wall Street are making off like bandits as profits hit $11.3 billion in the last six months. Good times for everyone, right? Wrong! Capitalism cannot sustain massive inequality over a long period and while some think labor will rise again as the deflationary supercycle (supposedly) ends, I worry that things will get much worse before they get better. So after reading all my comments, let's go back to Dan McCrum's question above, where are the pension fund heroes? I'd say most of them are in Canada where plans like OTPP and HOOPP keep delivering stellar returns as they match assets and liabilities with or without external hedge funds and pension funds like CPPIB bringing good things to life on a massive scale, which is why it's also posting great returns. In fact, all of Canada's top ten are performing well and providing great benefits to the Canadian economy which is why I'm a stickler for enhancing the CPP here. If the U.S. got its governance right, I would also recommend it enhances Social Security for all Americans. Let me be crystal clear here. I don't think the Liberals can afford to squander a golden opportunity and not introduce mandatory CPP enhancement for all Canadians. Anything short of this would be a historical travesty and it would dishonor Pierre-Elliott Trudeau's legacy and set us back decades in terms of retirement and economic policy. Why am I so passionate on this topic? Because I've worked at the National Bank, Caisse, PSP Investments, the Business Development Bank of Canada, Industry Canada and consulted the Treasury Board of Canada on the governance of the public service pension plan. I've seen first-hand the good, the bad and ugly across the private, public and quasi-public sector. I know what makes sense and what doesn't when it comes to retirement policy which is why I was invited to speak on pensions at Parliament Hill and why the New York Times asked me to provide my thoughts on the U.S. public pension problem. I've also put my neck on the line with this blog and have criticized and praised our largest public pension funds but one thing I know is that we need more defined-benefit plans covering all Canadians and we've got some of the very best public pensions in the world. Our top ten pensions are global trendsetters and they provide huge benefits to our economy. That's why you'll find a few pension fund heroes here in Canada. Are the top ten Canadian pensions perfect? Of course not, far from it. I can recommend many changes to improve on their "world class governance" and make sure they're not taking excessive and stupid risks like they did in the past. The media covers this up; I don't and couldn't care less if it pisses off the pension powers. But when thinking of 'real change' to our retirement policy and economy, we can't focus on past mistakes. We need to focus on what works and why building on the success of our defined-benefit plans makes sense for bolstering our retirement system, providing Canadians with a safe, secure pension they can count on for the rest of their life regardless of what happens to the company they work for. The central problem with U.S. public pension funds is the lack of proper governance which leaves them open to undue political interference. 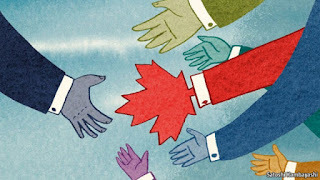 In fact, unlike in Canada, the entire investment process at U.S. public pension funds has been hijacked by useless investment consultants which typically recommend the same brand name funds institutional investors should be avoiding. This is why I'm not surprised to see so many top hedge funds are underperforming this year (but still collecting 2% management fee on the multibillions they manage!). When the pension herd chases yield with little or no regard to the macro environment and the underlying structure of the investment environment, this is what happens. So forgive me if I'm more than a bit cynical on Tony James's solution to America's retirement crisis. What the U.S. needs is to accept the brutal truth on DC plans, go Dutch on pensions, enhance Social Security for all Americans and adopt Canadian-style pension governance and even improve on it. In other words, U.S. public pension funds have to stop farming assets out to be managed by high fee hedge funds, private equity and real estate funds and have to adopt the right governance which would allow them to attract talented pension fund managers and pay them properly so they can manage pension assets internally at a fraction of the cost (Don't worry, the Blackstones of this world will still make a killing). 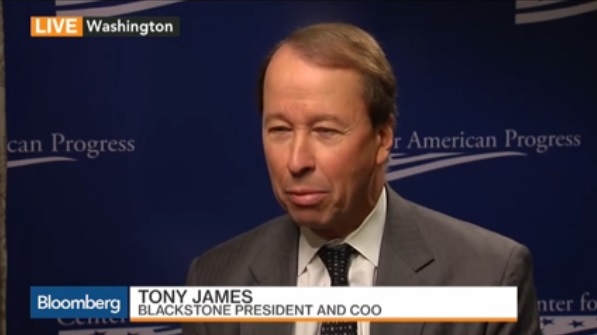 Below, Tony James, Blackstone president & COO, talks about his proposal to tackle the looming retirement crisis in the U.S. by replacing the traditional 401(k) with guaranteed retirement accounts. 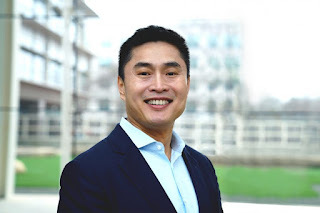 James also spoke with Bloomberg's Betty Liu about guaranteed retirement plans as a replacement for 401k plans and the need for defined retirement savings for American workers. Update: Also see my follow-up comment, Four Views on DC vs DB Plans, where I explain why the only real solution to America's retirement crisis is to bolster well-governed defined-benefit plans and enhance Social Security for all Americans.